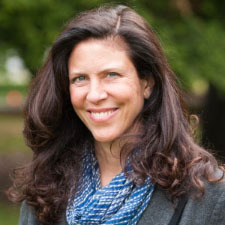 Melissa Buckley is director of the CHCF Health Innovation Fund, which invests in technology and service companies with the potential to significantly lower the cost of care or improve access to care for low-income Californians. Melissa leads the foundation’s efforts to bring health care payers and providers together with entrepreneurs and investors in order to solve important problems in the safety-net delivery system. Melissa is responsible for sourcing and executing investments that are aligned with CHCF’s mission, and supporting investees by leveraging CHCF’s knowledge of and relationships with networks of providers, payers, and policymakers, as well as CHCF’s expertise in policy, finance, and reimbursement. Before joining CHCF, Melissa worked as a strategy consultant for health care companies and nonprofits, investment firms, and foundations. She worked as a consultant at McKinsey & Co. in New Jersey and San Francisco and in health care investment banking at J.P. Morgan in New York. Melissa serves on the advisory board of Stanford University’s Haas Center for Public Service. She received a bachelor’s degree in human biology from Stanford University and a master’s in public policy from Harvard University.